Use your Instant Pot for perfect breakfast potatoes. 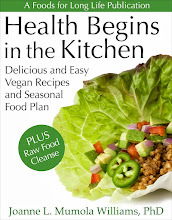 Make a healthier breakfast for your Valentine! I must have been Irish in another lifetime because I adore potatoes. Baked potatoes, mashed potatoes, boiled potatoes, and especially fried breakfast potatoes. Fried breakfast potatoes, however, can take a lot of oil with added calories. They also take a long time to cook, and who has that kind of time in the morning? But the Instant Pot comes to the rescue to help with both of these problems. 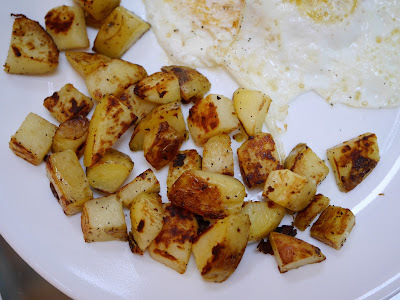 So if your want to make your Valentine some healthy fried breakfast potatoes to go with a tofu scramble or his favorite egg dish, here's a quick recipe for the potatoes. You can always jazz this recipe up by frying some onions or peppers before you add the potatoes, but I like my potatoes as they are. To save even more time in the morning, you can make the Instant Pot potatoes the night before, refrigerate them, and fry them the next morning. Place the steamer rack and 1 inch of water in the Instant Pot. Spread the diced potatoes evenly in the Instant Pot's steamer basket. Place on the rack. Secure the lid, making sure the top vent is closed. Press the "Manual" button and set for 4 minutes at high pressure. When done, do a quick release, carefully open the lid, and immediately remove the potatoes from the Instant Pot. The potatoes should be almost cooked, but a little al dente. They will continue to cook in the fry pan. Heat the oil in a large, non-stick (I like enamel coated), fry pan on medium heat. Add the potatoes and spread evenly in the pan. Sprinkle salt and pepper over the potatoes. Cook until the potatoes are fork tender but crispy and brown on both sides, flipping over occasionally, about 10 minutes. Per serving (3): 155 calories, 5 g total fat, 1 g saturated fat, 0 mg cholesterol, 49 mg omega-3 and 487 mg omega-6 fatty acids, 3 g protein, 28 g carbohydrates, and 3 g dietary fiber. Per serving (4): 116 calories, 3 g total fat, 0.5 g saturated fat, 0 mg cholesterol, 37 mg omega-3 and 366 mg omega-6 fatty acids, 2 g protein, 21 g carbohydrates, and 2 g dietary fiber. OMG, I"m so excited to try this!! I love potato too! So you just use the trivet that comes with the ipot to place the potatoes on? Or do you have steamer insert? Place the steamer basket on top of the trivet or rack so that the steamer is above the water level. Enjoy! Make Your Own Antibacterial Foaming Hand Soap!